A study in which Barcelona Supercomputing Center (BSC) has participated shows that the simpler a DNA motive is, the more tissue-specific is the gene it regulates. 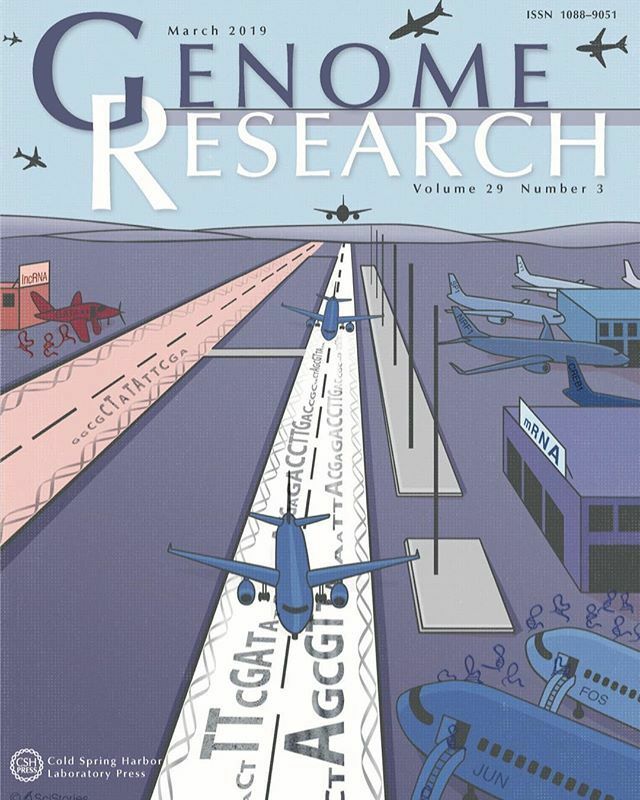 This study, in which BSC researcher Marta Melé, participated as co-last author, is the Genome Research Journal cover story for the month of March. Up until now, most studies had been focused in protein coding genes which are generally expressed in many tissues. In this project, the researchers focused on a class of non-coding genes that are very tissue-specific. This means that we only find these genes expressed in specific tissues such as liver, brain, or kidney. Thus, the goal of the study was to understand how from the same DNA sequence present in all cells, these non-coding genes are activated in specific cells of a single tissue. This finding could have implications for our understanding of complex diseases, such has Parkinson’s, Alzheimer’s or diabetes, where mutations on DNA motives play a role in determining disease risk. “If we understand how the DNA code works, whenever a mutation takes place, we will be able to predict the consequences”, according to Melé, a new group leader at BSC in the Transcriptomics and Functional Genomics Lab. Marta Melé is co-last author of this work, which includes six other researchers from other research institutes, such as Harvard University, Ghent University, the Broad Institute of MIT and Harvard or Colorado University, among others.